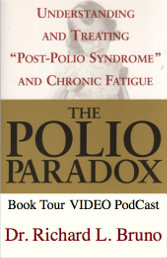 Did you miss Dr. Bruno’s Polio Paradox lecture during his book tour? If you heard him, would you like a reminder? • How you got polio. • What polio did to your brain, your body…and your mind. • Did “Baby Boomers” who have CFS/ME today actually have PPS? 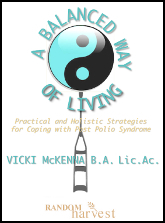 • Did the poliovirus or polio vaccine cause CFS/ME? 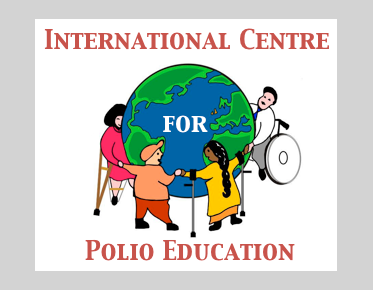 THE POLIO SURVIVORS HANDBOOK, given to all Post-Polio Institute patients, contains the research-based and time-tested protocol that has been found to successfully treat Post-Polio Sequelae. 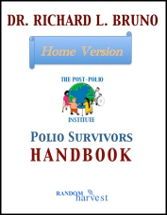 But this "home version" of the HANDBOOK has been rewritten to educate you, your local doctor and therapists so that you can receive the same customized treatment for PPS close to your home that you would receive at The Post-Polio Institute. ISN'T IT TIME TO GET THE VAMPIRES OFF YOUR NECK? • Downsize home and life. • Demand the right chair. • Find much needed sleep. • Exercise without overdoing it. • Avoid falls and worse problems. • Manage the “Big Four” painful body parts. 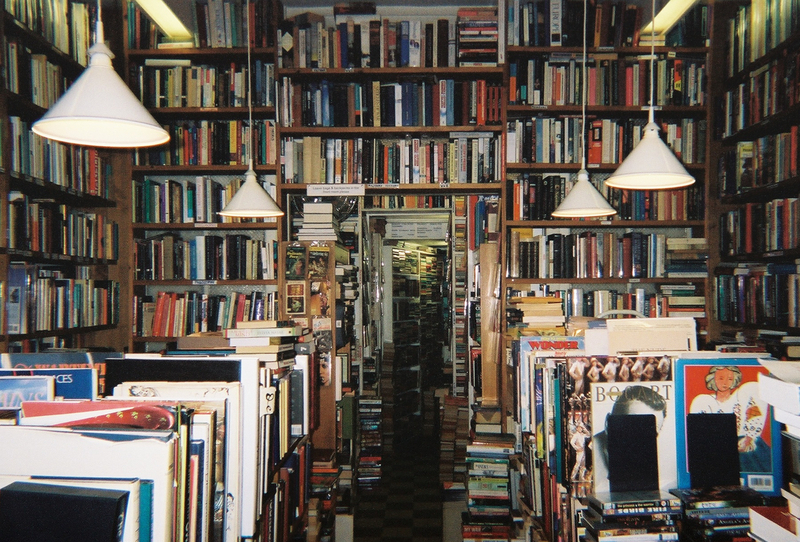 • Go shopping when supermarkets are too big and too far. 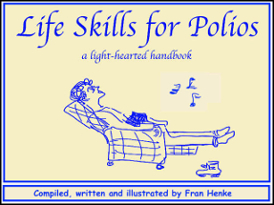 Life Skills also addresses hard-to-talk-about and unexpected issues like incontinence, dealing with anaesthetists, recognizing heat and cold intolerance, embracing the brace and coping with childhood abuse. "Millie's writing? In a word, spectacular! In eight words: incredibly insightful, wonderfully witty, marvelously moving, fabulously funny." Millie’s Back And You Can Have Her! 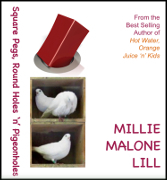 Millie Malone Lill, the “Mark Twain of polio survivors,” returns to random harvest with her combination of mid-western charm and razor-sharp wit in Square Pegs, Round Holes ‘n’ Pigeonholes. 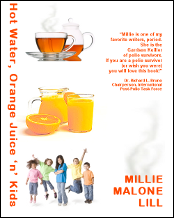 Join Millie in her native Iowa, on her trips through America and then into Canada, where’s she’s run off with a Canadian truck driver! It’s scooter versus eighteen-wheeler…and if you know Millie, you know who wins that race, eh? "The Two Breath Time Out"
Maureen McGovern, two-time Grammy and Tony Award nominee and founder of the "Works Of Heart Project for Music and Healing," has recorded something special for everyone who wants to annihilate stress. 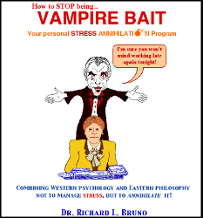 Maureen's soothing voice guides you through Dr. Richard Bruno's relaxation exercise, "The Two Breath Time Out," from How to Stop Being Vampire Bait . 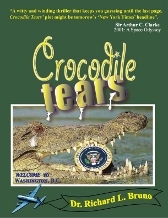 "A witty and winding thriller that keeps you guessing until the last page, Crocodile Tears' plot might be tomorrow's 'New York Times' headline." Robbie Pancrazio is out-of-work and arguably going out of his mind. After writing Tony Award-winning books and lyrics for Broadway musicals, Robbie can't get a job. Why? New York's theaters are being occupied by the British, or at least one British composer's "soap operas with one catchy song," the latest being "Eva," a singing and dancing portrait of Hitler's mistress. Adding insult to Robbie's professional injuries is "Mikey Moose," America's first cartoon icon. "The Moose," once a respected creator of animated children's films and theme parks, rebuilt Broadway and perpetually fills their theaters with fulsome musical productions based on its own films. So, an unemployed Robbie smokes and smolders, drinks and rages, develops ticks and hears "The RumDums," sounds in his head like muffled voices that he can't quite make out. 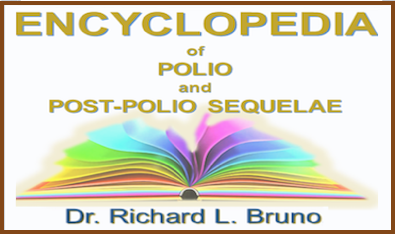 Uncovering the Hidden History of Polio to Understand and Treat "Post-Polio Syndrome" and Chronic Fatigue, by Dr. Richard L. Bruno was published in June 2002 by Warner Books.